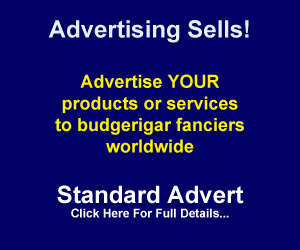 Welcome to the new Budgerigar.co.uk website – something brand new for the hobby in 2010! Introduced for the first time in the hobby, here is a budgerigar website for all to partake in and be involved with. Budgerigar.co.uk encourages individuals, societies and companies worldwide to be part of what will be an ever changing publication. 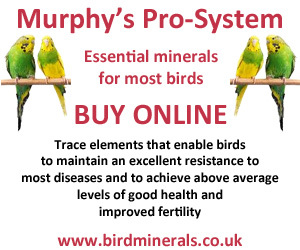 This site will develop into a focal point for everyone involved in the delight of breeding quality budgerigars. Budgerigar.co.uk is brought to you by Gerald Binks. Gerald began breeding budgerigars when he was 12 years old and is now arguably the most knowledgeable budgerigar fancier in the world. He has bred his fair share of Best in Show birds, judged in no less than 20 countries, founded the World Budgerigar Association, and has published two of the three classic books on the hobby. His stud in the UK attracts fanciers from near and far and is always high on the list for those wishing to purchase BA23 quality budgerigars. In addition to providing our readers with great information, we positively encourage them to participate! The easiest way to contribute, is to comment on the published articles. At the end of each article you will see a simple “Leave a Reply” form. If you have ANY comment to make about the article (be it praise or agreement, criticism or objection), please use the form to send us your comments. Your experience or comment may help another fancier – and vice versa! Please bear in mind that all submitted comments are moderated by Budgerigar.co.uk in order to maintain the top quality content of the website. Once moderated, all comments are then published beneath the associated article – giving readers fresh content on an almost constant basis. Fanciers can also submit an entry for inclusion in our Breeders’ Directory and those with budgerigar-related websites can submit an entry for our Links pages. For more information, please view the section – “Comment on Articles – on the “Be Part of It” page” . Budgerigar articles are the lifeblood of the Budgerigar.co.uk website, generating discussion among fanciers and helping to develop the hobby worldwide. Budgerigar.co.uk therefore warmly welcomes articles from those in the hobby to be published on the site. If you would like to contribute either a single article, or perhaps be a regular contributor, you can find out how on our “Submit an Article” page. 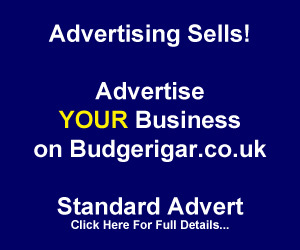 Budgerigar.co.uk offers advertisers unparalleled access to budgerigar fanciers worldwide. 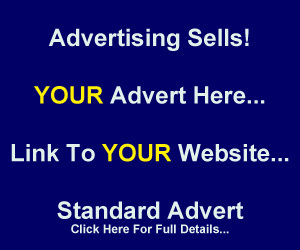 Not only are our advertising rates highly competitive – but we will even create the advert for you if you wish (for FREE!). 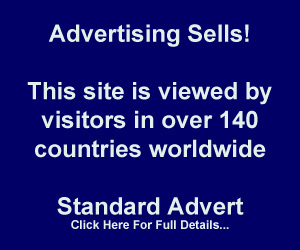 For more information, please view the “Advertising” page. There are many ways for you to participate on Budgerigar.co.uk – to see how YOU can Be Part of It – click here. Congratulations for your wonderful website! It is very interesting and very practical for fanciers. Congrats on the new website, very user friendly, well done mate, great for the fancy. I am sure you will be getting heaps of hits. Congratulations, great work to serve the hobby. I take this valuable great opportunity to serve the hobby by publishing the website in India. My friend you have done it again. The new website is exactly what this hobby has needed for a very long time. We can always count on you to come up with something innovative and will benefit everyone in the hobby. Thank you for creating a website which is interactive and current. My hope is that it catches on and becomes the place to go for every fancier. May it be the place to go for information and a place which promotes the hobby worldwide. Great site, congratulations on putting it together. I look forward to its content helping me and many others in New Zealand. Great website – good to see you’re still going strong and so passionate about the hobby. Little seems to have changed since I sadly left the hobby – it needs to wake up to the 21st century and get young people involved and sell it self better. There are so many ways to promote the hobby which are not being taken. Move on or die – and looking at the entries at shows, we’re doing the jobs for the antis without them really trying. You have come up trumps again & given the hobby somewhere to access information when we want it, and when it suits us. I don’t keep budgerigars myself, but a lot of members at my club do keep them (Halifax & District Cage Bird Society) and this site is a must for keepers of these birds. I found it a very interesting site. It’s a FREE bank of budgerigar information and congratulations to Gerald Binks and the team members & associates. I’m enjoying the info on this site and congrats for a job well done. You have put a great team together and their knowledge can only help us all.